Since 1945, Bob Cook has been on the quest of studying and training martial arts and Buddhist / Taoist healing arts. Along the way, Bob studied at and graduated from the San Francisco College of Chinese Medicine. By 1965 Bob had a black belt in Chinese Kempo Karate under the legends Ed Parker and Dan Inosanto. Bob was a champion sparring competitor. In 1962 Bob met and was greatly influenced by Bruce Lee and the Wing Chun Kung Fu system. 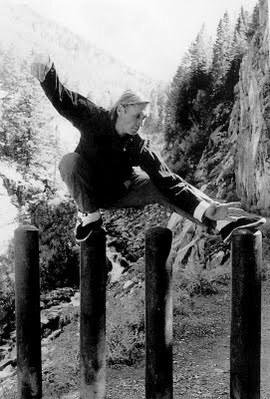 In 1964 Bob started studying Kung Fu under Ark Wong and then Tai Chi and other internal healing martial arts in depth under James Wing Wu, T.Y. Pang, Kuo Lien Ying, T.S. Ying, Jew Leung, Chris Chan and eventually many other renowned masters. Today, Bob lives in Western Colorado where he teaches and shares these treasured art forms including Tai Chi, Kung Fu and Qi Gong.